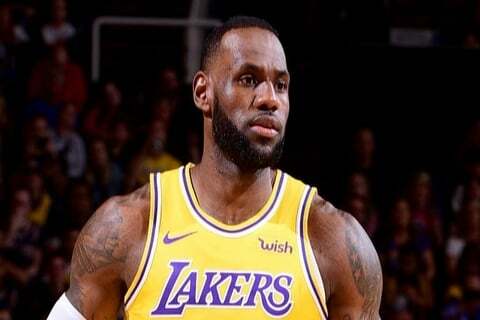 Lakers management along with the medical staff have come to decision that “King James” will sit out the reminder of the season (less than 10 games) in order to allow his body to fully recover. On Christmas day game against the 2-time defending champs – The Golden State Warriors, Lebron injured his groin which led to almost 20 game absent (the longest absent of his career). Since the Lakers were eliminated from the playoff race after a loss to the Brooklyn Nets lead-by D’lo (ex-Laker), Lebron was under minutes restriction – 32 minutes a night. His season average for the first year in L.A are still very “Lebron-ish” – scoring 27.4 points per game collecting 8.6 rebounds and dishing out 8.2 assists. In order to show support of his teammates, The King will join the team in it’s next 2-game road trip.